“Buon Giorno” is the proper way to greet someone in the morning. Usually used until afternoon. “Buona Giornata” is what Italians say when they wish each other a good day. “Buona Notte” is exclusively used at night and always as a “leaving” greeting and never as an introduction. “Sogni d’oro” is what every mum whispers in her child’s ear kissing him good night. “Arrivederci” is the widely popular and internationally recognized Italian word used to say goodbye and “see you later.” It can be used at any time of the day and without particular regards to seniority, therefore it can be used when speaking to anyone. “Ciao” is probably the most popular word in the Italian language and definitely the most famous across the world. If using “ciao” as “hello”, do so only when greeting friends or those you are familiar with. Indeed, Italians have two levels of speaking, just like in Spanish or French, where the verbs and greetings are different according to the ranking and age of the person you are speaking to. “Salve” is not used very often and is never spoken when people take leave of one another. Equally used throughout the day and without concern for seniority it is considered a “rough” greeting and better to be avoided in favor of some other expression. When you have guests and ask them to “come in”, you invite them with an “Avanti”, rather than “benvenuto”, welcome, but the meaning is the same. “Ciao” can also mean “goodbye” and like its other version is used only among friends, although it has been taken by other languages, including English as a fancy way to say “goodbye.” In Italy saying “ciao” to someone older or not familiar to you is actually considered impolite. “Addio” is not used often, but it translates into a very definite expression, when people are sure that they will never see each other again. It usually means that these people also shared something important; it could be for example two privates coming back home after a war or two spouses getting a divorce. “Ci vediamo,” “a dopo” or “a piu’ tardi” all have about the same meaning and can be used interchangeably. They also don’t follow a specific timeframe or social rule. 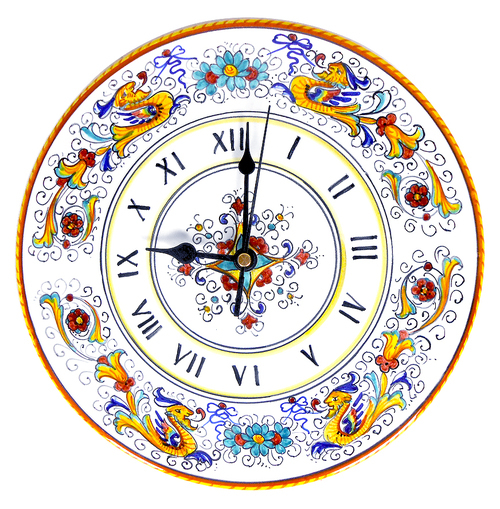 “Buon Anno” is an expression used at the beginning of a new year and it gets old after the second week of January. “Buon Natale” usually starts to be used a few weeks before December 25th and stops at the end of Christmas Day or the day after at the latest. People wish one another a “Buona Pasqua” starting from a few days before Easter. “Buon Compleanno” works with the same rules as the English language. As in North America where people often wish one another “happy holidays” to avoid any politically incorrect snafus, Italians use the phrase “buone feste” during the holidays to avoid offending anyone.